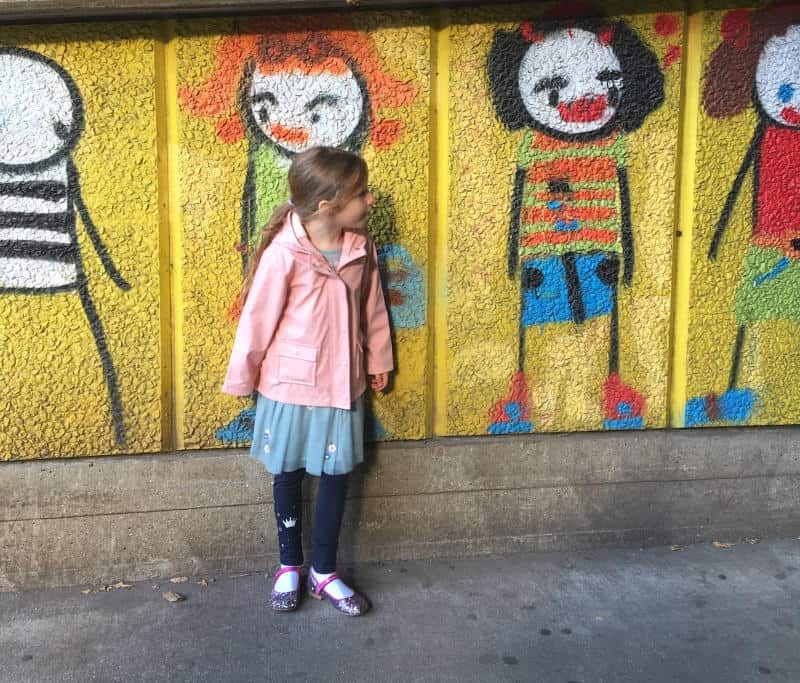 When I travel to London with kids I know that at some point we are all going to need a little pick me up. On my recent trip with Indie I new the perfect place for us to go. 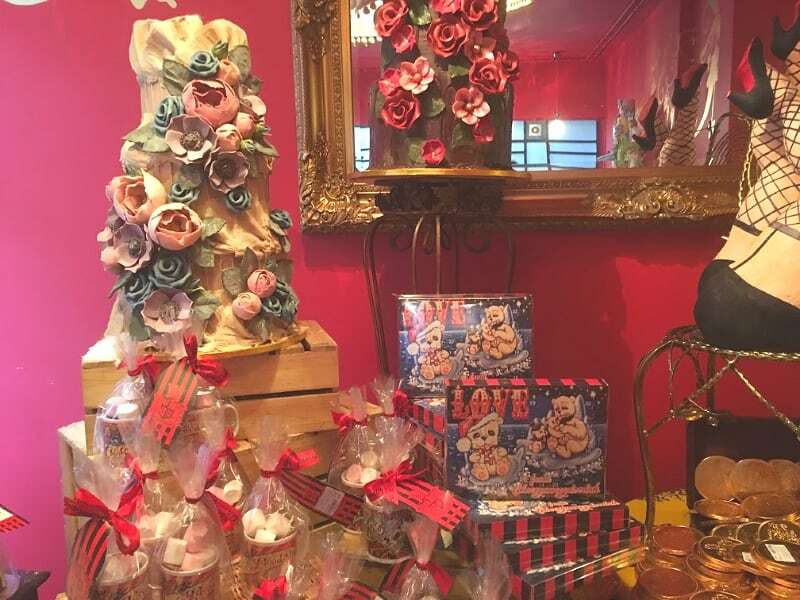 I booked us a table for a visit to Choccywoccydoodah in Seven Dials, near Covent Garden as I thought it would make for a lovely pitstop for us both. It is the most famous chocolate cafe London has to offer after all. We had been up very early that morning so I knew Indie would start to flag during our visit to London. 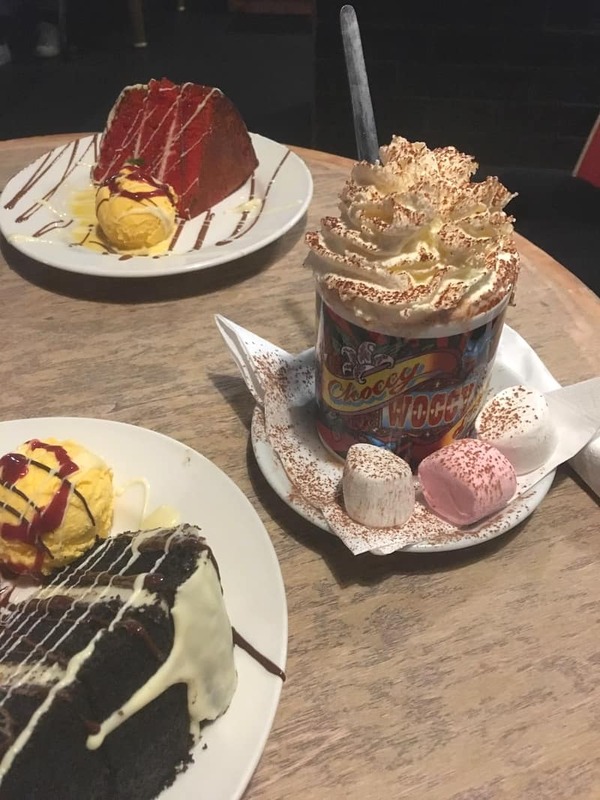 Seeing as Covent Garden is our favourite little spot in London for some Mum and daughter time now, Choccywoccydoodah was the obvious choice. We stepped inside and the smell of chocolate literally hit us between the eyes. The flamboyant displays of chocolate treats and elaborate cakes were breathtaking to say the least. We really didn’t know where to look at first. The manager spotted us looking bewildered and asked if she could help us. I managed to draw my eyes away from the cakes long enough to tell her we were here for a booking in the Bar du Chocolat. We were shown downstairs and immediately it felt like we were entering a secret club. I loved the Victorian boudoir feel it had going on and Indie was most taken with the pink flamingos and ornamental pigs at the bottom of the stairs. We were shown to our table by a very helpful waitress who bought over a chalkboard menu and explained what drinks and cakes were available that day. There was no doubt in my mind that I was having a Choccywoccydoodah Hot Chocolate and Indie went for the Pink Lemonade. 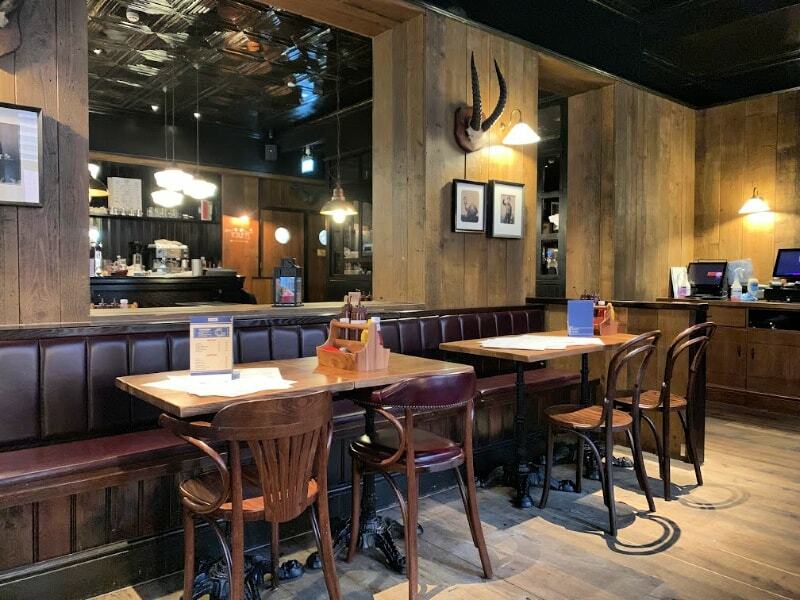 There’s also ice cream sundaes or tea and coffee if you prefer something different from the menu. The cakes are displayed on the counter and look pretty incredible, just as a Choccywoccydoodah cake should if you ask me. 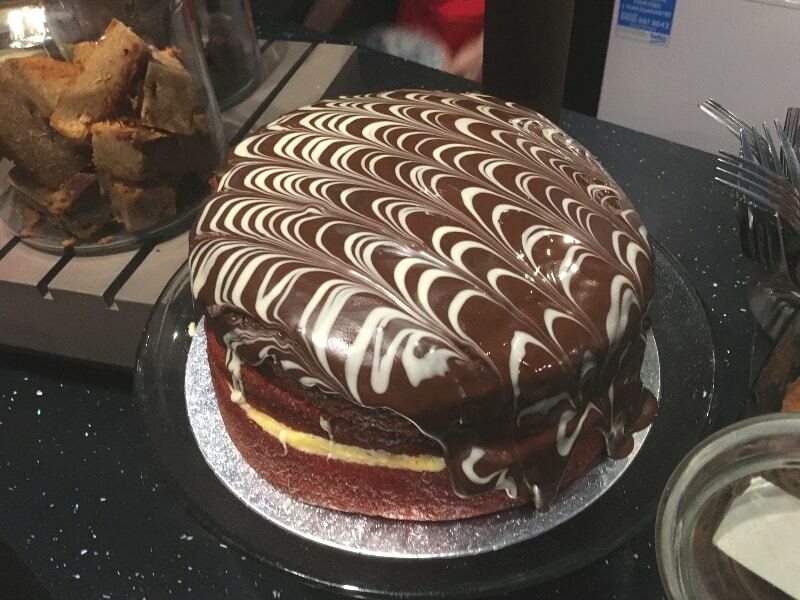 We opted for a chocolate and red velvet Choccywoccydoodah cake, which felt like wise choices for our particular trip but to be honest I don’t think you would go far wrong no matter what you picked. There was a point where Indie became a little bit grumpy, as tired and hungry kids do. The early start and the excitement of the trip was catching up with her. When our cakes arrived, topped with chocolate sauce and a side of ice cream and raspberry coulis she definitely began to cheer up. As she worked her way through her monster piece of cake, she started to return to her happy self. I think that’s the magic of a Choccywoccydoodah cake at work right there. 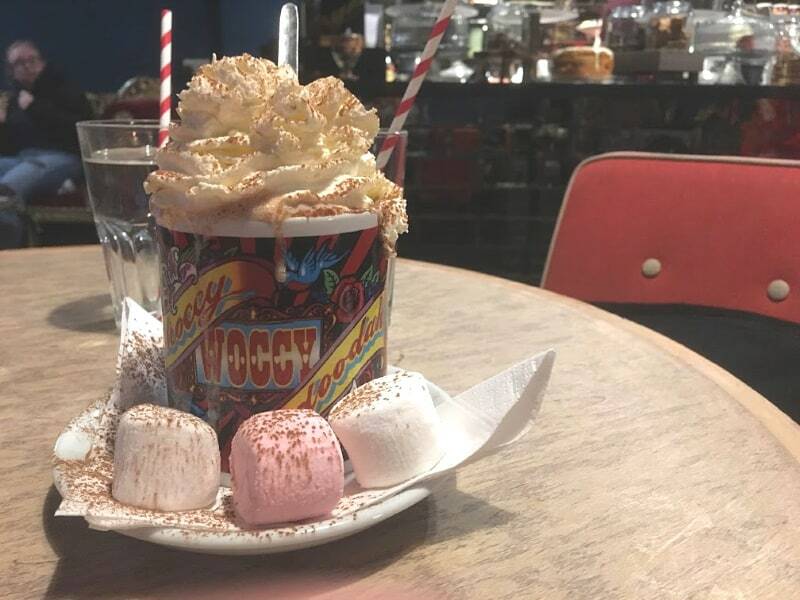 My hot chocolate was something else again, served in a Choccywoccydoodah mug with a topping of whipped cream and a dusting of chocolate powder it was gorgeous. The chocolate drink was so smooth and velvety, it literally tasted divine. Despite giving it a good go, we couldn’t quite finish our cakes. They are so deliciously rich and moist, I think it’s probably worth saving a little bit to take home. Our waitress bought us some cake boxes to put our treats in and we set off to Covent Garden on a completely new kind of chocolate high. 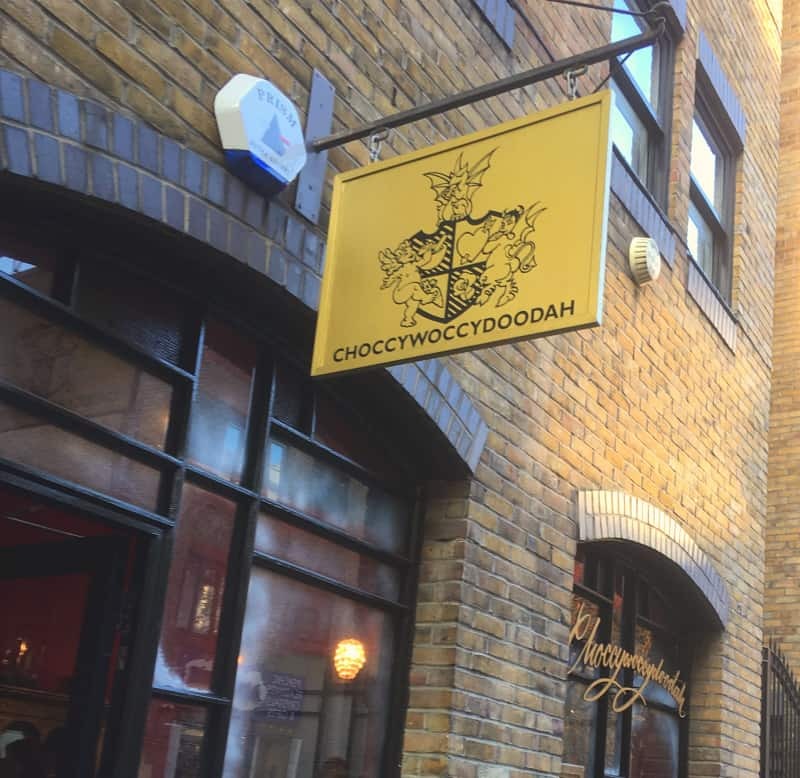 We were guests of the Choccywoccydoodah cafe in exchange for this post, but all thoughts and opinions are our own. 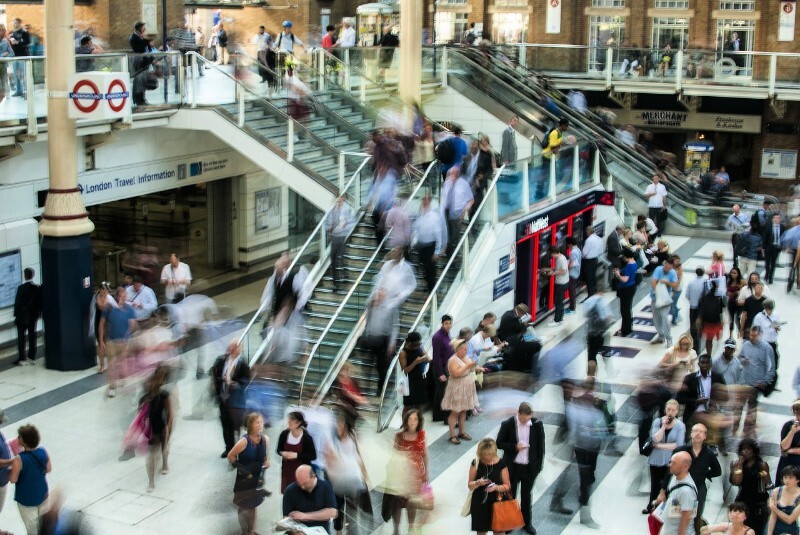 Hiring a Car vs Public Transport on Holiday: Which is Best? Oh yum, I’ve not been to London, but if I ever have the opportunity, it would be so fun to go here, and it is easy to remember this name! Everything you show here looks scrumptious!